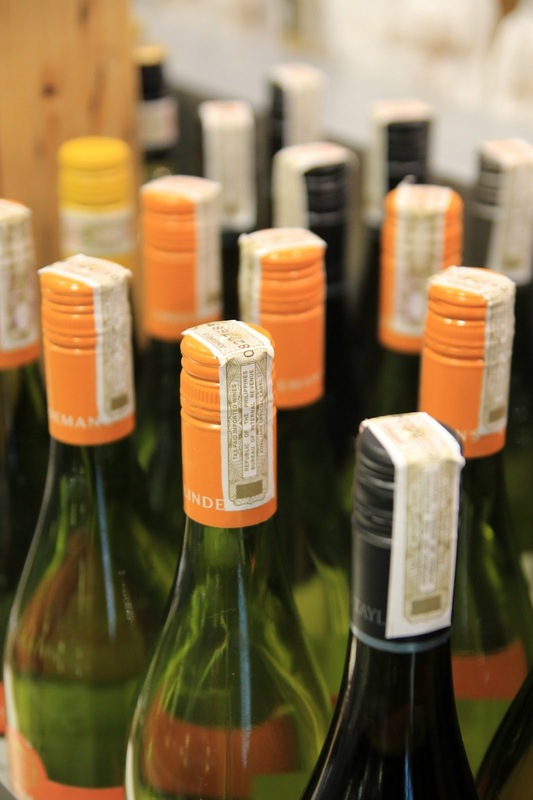 Are you an oenophilia, wine connoisseurs, or simply someone who appreciates wine? 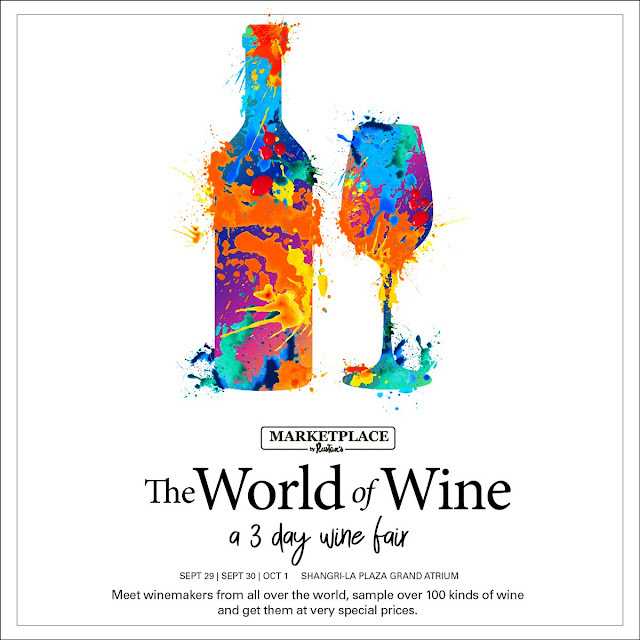 Time to mark your calendar as Marketplace by Rustan's brings together the best wines from the world's finest vineyards at The World of Wine fair from September 29 to October 1, at the Grand Atrium of Shangri-La Plaza in Mandaluyong City. The wine choices at the Marketplace by Rustan's comes from premium wine-growing regions around the world that includes: France, Spain, Australia, and Argentina. The wine festival is curated by Marketplace by Rustan's and will feature quality choices of the best value, and some of the winemakers will bring the rarest bottles in the world and it will be available exclusively during the event. Special offers and exciting activities await guests at the wine festival, with a 10% discount on all bottles of wine bought at the fair, those with purchases of 6 or more bottles will get 15% discount, and they also have a chance to win in the grand raffle for those with receipts of P5,000 or more. So be sure to mark the date on your calendar. Salud!